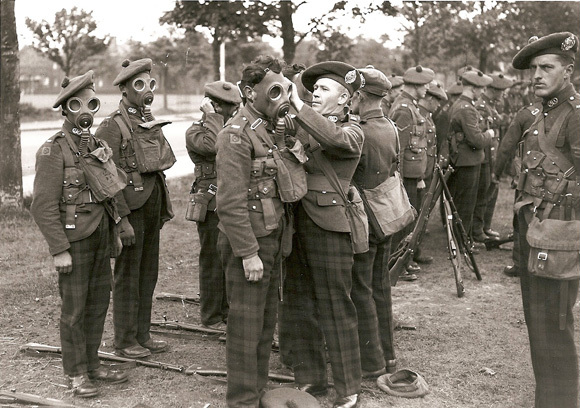 During the First World War the Highland Division became renowned for their bravery and ability in combat. They served in France in the B.E.F. in 1915 and achieved a great deal in the Battle of the Somme, at Beaumont Hamel, Arras, the 3rd Battle of Ypres, Cambrai and the Aubers Ridge before the final costly actions at the close of the WWI. In 1938 the decision was taken to double the strength of Territorial Army. 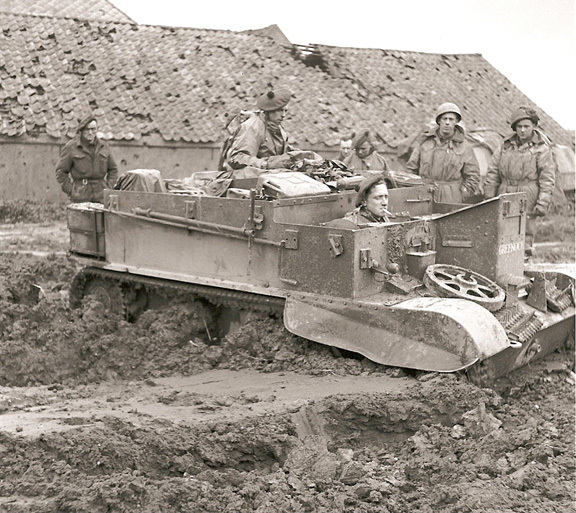 This required the raising of a "mirror" divisions which, in the case of the 51st (Highland) Division was 9th (Highland) Division. In late 1939 the TA was "called out"; that is notice was sent out to all reservists mobilising them. On the 1 September the regiments of the 51 Highland Division were mobilized. 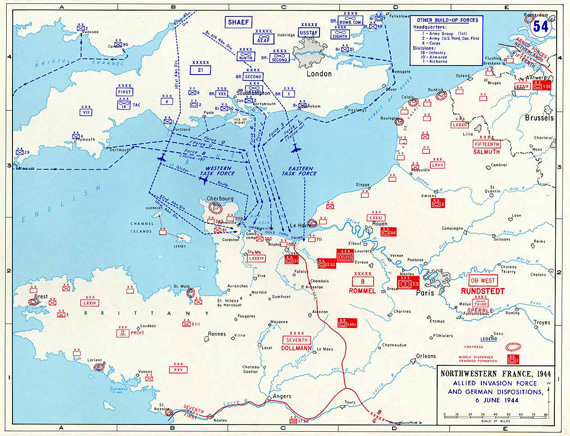 Within hours of the dispatch of Ark Force, reports early on 10th June of the German advance made it apparent that the remainder of the Division was being cut off and the opportunity to evacuate through Le Havre was increasingly unlikely. General Fortune decided to evacuate through St.Valéry-en-Caux. This news reached the Navy at 0400 hours on 10th June and preparation began. 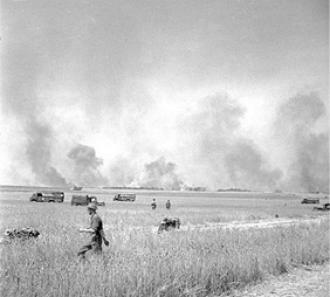 In late August 1942 the Division took up positions to defend the western approaches to Cairo... At this time the enemy were no more than 50 miles west in the area of El Alamein and to its south. 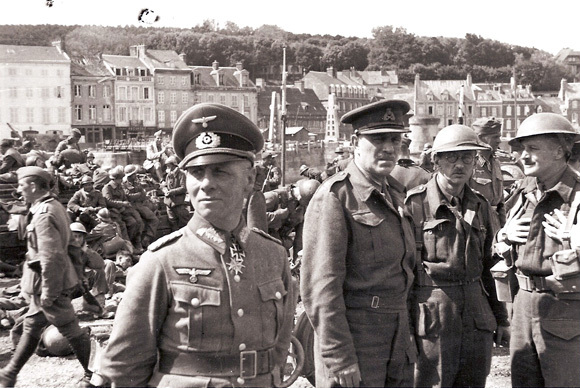 They did not have long to wait - Rommel commenced his attack on the night of 30th August. 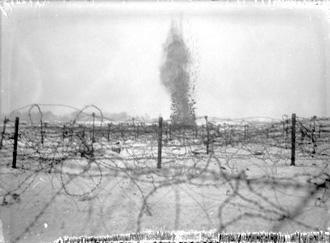 The 8th Army weathered the storm and by 7th September the Battle for Alam Halfa, Rommel's main objective, was over. 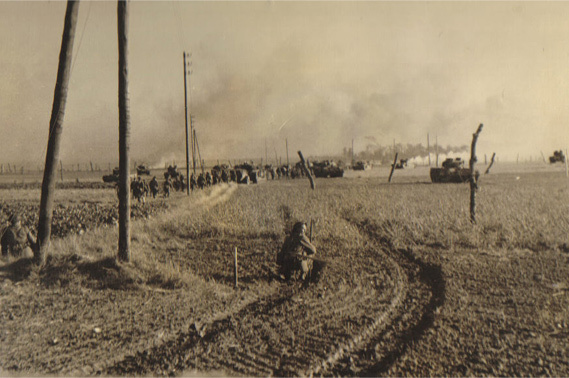 The initiative, and the decision when and how to counter attack, was with Montgomery. As the North Africa campaign was coming to an end the location for further operations remained a closely guarded secret. Winston Churchill and the American President Franklin D. Roosevelt met with their senior military advisers to devise a military strategy for the coming year. 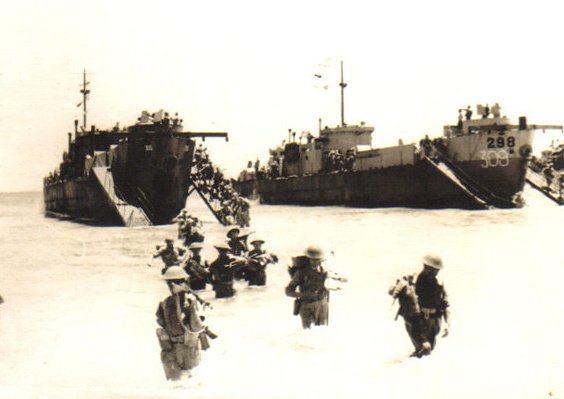 The 7th Argylls lead the way, landing on the beach at the southeast tip of the island near Pachino at 0245 hrs on 10 July. 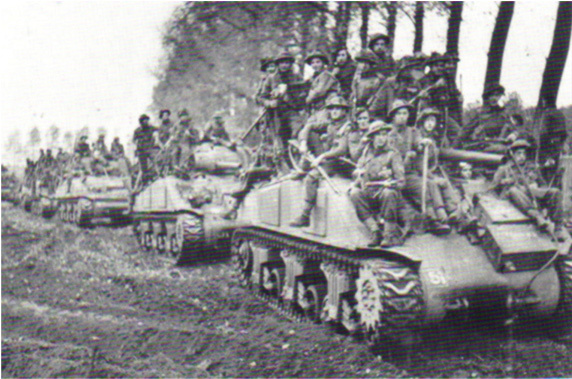 April 1944 transferred from 30th Corps to 1st Corps and commenced training for the invasion of main land Europe - Operation Overlord. The 51st Highland Division landing at Normandy in June 1944 took place to the west of the Ornnemouth. The operations in the following weeks were some of the worst the Division had experienced. For Operation Totalise the 51st Highland Division was placed under command of the Canadian Corps and on 6th August moved forward to begin the operation. The attack began on the night of the 7th August with an large bomber attack. At 0230 hrs 154 Brigade advanced in two columns with over 350 armoured tracked vehicles. With the "Breakout" battle complete the 51st Highland Division advance continued. From Lisieux they advanced East crossing the Seine dealing with the enemy rear guard. 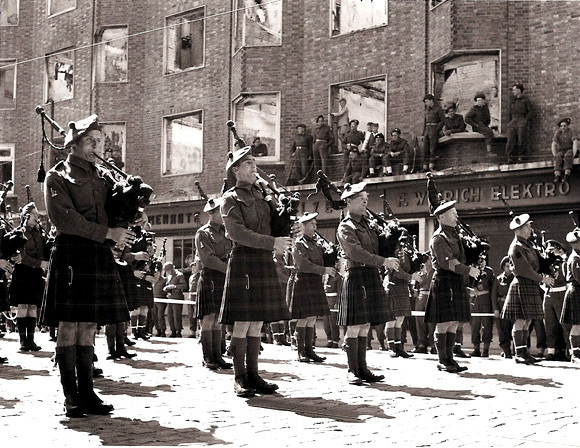 In late September the 51st Highland Division moved east through France and into Belgium. 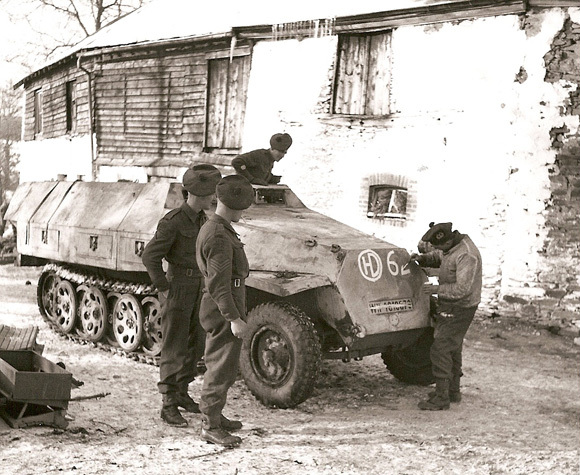 On 16 December 1944 Hitler launched an offensive through the Ardennes aimed at driving a wedge between the allies, securing Antwerp and the important fuel supplies, cutting off the forces in the north and reversing the tide of the war in Germany's favour. After the defeat of the German Ardennes offensive the 51st Highland Division returned to Holland to recommence offensive operations. 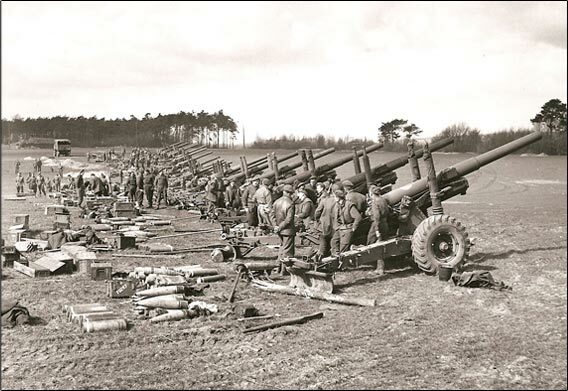 Orders were received on the 3rd April for the 51st Highland Division to concentrate at Enschede with the intention of clear the enemy out of North East Holland to the sea. Every photograph on the site has 'supporting information' included on the page, which you can view by clicking on the 'i' icon below each photo. You can also 'launch' larger versions of each photograph by clicking the image itself or by clicking on the icon of the magnifying glass below the photo. If a high resolution image is available we'll include a link to it within the 'supporting information'. Within the history section, we've tried to clearly highlight the various sections of the history that have more information for you to click through to by display '[Chapter]' or '[Account]' indicators next to links into other sections of the site. 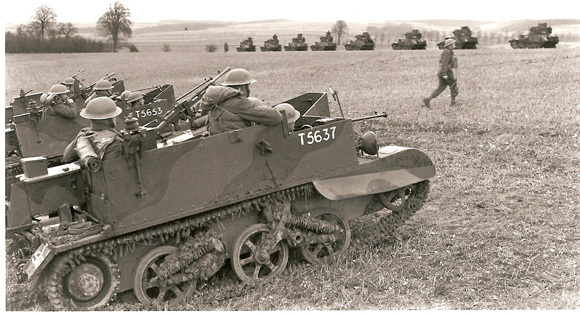 We've made it easier for those of you who are interested in reading through the history of the 51st Highland Division in a chronological thread by including dates in page titles and menu links and by adding 'previous' and 'next' links at the bottom of the page (which also list their corresponding page titles). This should hopefully help those of you who would like to read through the history section from start to finish. We've gone to great lengths to make the information held within the various sections of our site more accessible to visitors. We're currently in the process of painstakingly re-indexing ALL of the content, including the Divisional History pages, Personal Accounts, Extracts and Photographs, to allow us to more easily link related content via a new 'Content Tag' system. This should now allow visitors to simply and easily follow threads of content relating to keywords that particularly interest them, such as viewing all content relating to the 'Seaforth Highlanders' or 'North Africa' for example. 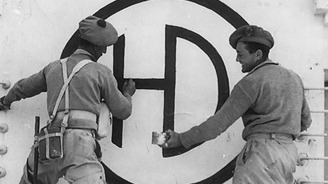 We hope you like the site and enjoy finding out more about the history of the 51st Highland Division.